After 7 years of discussions, Supreme Court rejects Arab appeals that a Jewish street in Hevron be opened to Arab traffic. Three different petitions to Israel’s Supreme Court, which had been joined together into one appeal over the years, came to an end on Monday. The appeals, which were filed by the Hevron (Arab) Municipality, the Hevron Development Committee, and several Arab citizens of Hevron, had demanded that the IDF be forced to remove all the restrictions it had been forced to impose on Arab movement in Hevron because of terror. At the center of the appeals was a demand that Israel reopen King David Street, which Arabs call Shuhada Street (“street of the martyrs”), to Arab traffic. The street was open to both Jews and Arabs until the beginning of the PA intifada in 2000. Hundreds of terrorist attacks took place in Hevron, and the IDF decided to limit PA access to the road as a safety measure. The appeals fail to mention the fact that 97 percent of the city of Hevron is completely closed to Jews, while Arabs are free to roam the entire city except for a small three percent of it. The court proceedings continued for seven long years, during which the IDF repeatedly tried to accommodate both the Court and the PA Arabs. Finally, Supreme Court President Justice Dorit Beinish was convinced and accepted the army’s position that easing the restrictions imposed on the Arabs would mean the continuation of murderous terror attacks. Beinish rejected the petition and accepted the IDF’s position that King David Street cannot be opened to Arab traffic. 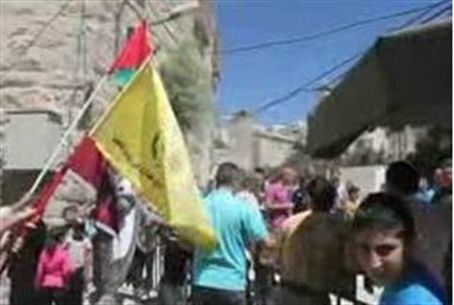 The proceedings were accompanied by protests by Hevron’s Arab residents. In one such demonstration in February, rioters threw stones at soldiers and police officers. The demonstrators shouted “Hevron is Palestine” during the riot, and waved PLO flags. Others chanted, “Down with the occupation,” a reference to the Arab claim that the presence of Israeli Jews in the city constitutes illegal occupation. It should be noted that throughout the court discussions, all involved - including the Arab petitioner - used the term King David Street rather than Shuhada Street.